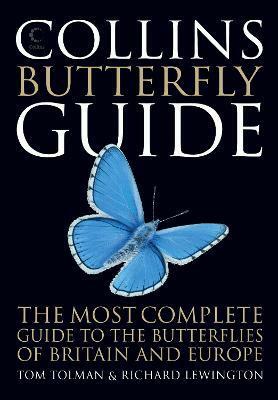 This classic guide to the butterflies of Britain and northern Europe enters its third edition as part of the authoritative Collins Guide series. This comprehensive guide to the butterflies of Britain and Europe features over 400 species, depicting both male and female insects. Species descriptions include details on taxonomic nomenclature, distribution, flight period, variation, habitat, behaviour and life cycle. Subspecies are included where there is significant variation, and distribution maps accompany each widespread species. Illustrated by Richard Lewington, the world's leading butterfly illustrator, this is an ideal field guide for travelling naturalists and butterfly enthusiasts alike and is an essential addition to every nature lover's bookshelves. Richard Lewington is one of the world's leading natural history illustrators, specialising in insects and other invertebrates. He has illustrated numerous books and lives in Oxfordshire, where he works as a freelance illustrator. Tom Tolman developed an interest in botany and natural history in the 1970s and has since developed a passion for butterflies. He has an extensive collection of butterfly photographs from all over Europe, including many species whose photographs have never been published.